Hinting at resuming talks with the Dalai Lama for the first time in several years, China on Wednesday said it is open for a "discussion" with the Tibetan spiritual leader on "relevant issues" other than independence for Tibet or "greater autonomy" for his Himalayan homeland. "We hope the Dalai Lama can abandon his separatist stance and his deceptive 'middle way' approach," Zhou Weiqun, head of the Ethnic and Religious Affairs Committee of the National Committee of the Chinese People's Political Consultative Conference (CPPCC), China's advisory legislative body a told media briefing in Beijing. 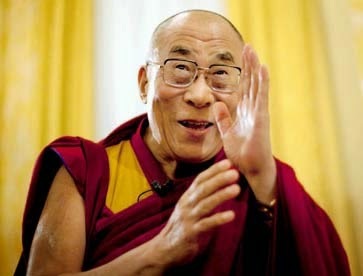 While accusing the 79-year-old Tibetan spiritual leader of attempting to destabilise Tibet by "instigating" self- immolation protests in which over 120 Tibetans were killed, Zhou however said China is open for discussions with the Dalai Lama other than independence and related issues. "China hopes that in the future he will know that he is doing the wrong thing and correct himself and stop disturbances in Tibet region and can contact us to discuss relevant issues," Zhou said. "We will not discuss about independence and related issues with him but other issues we can have a discussion," he said. This is perhaps the first time a senior Chinese official has spoken about talks with the Dalai Lama who last year had expressed a wish to undertake a pilgrimage to a sacred mountain in Tibet, informally conveying it to Beijing. However, the Chinese Foreign Ministry spiked any speculation in this regard saying that the Dalai Lama should genuinely give up his attempt to split China and stop undertaking separatist activities. Talks between Dalai Lama's representatives and Chinese officials were stalled since 2010 and failed to make any progress even after the Nobel laureate said he regarded Tibet as part of China. Beijing however continues to question his demands like Greater Tibet, which Chinese officials say extends to vast tracts of areas besides calls for self-rule in the Himalayan region with the central government renouncing all powers except defence and foreign policy. His comments came as Tibetan exiles marked the "Tibetan National Uprising Day" on Tuesday.